Boo! A Madea Halloween DVD and Blu-ray release date was set for January 31, 2017 and available on Digital HD from Amazon Video and iTunes on January 31, 2017. Madea hits the big screen again with her hilarious antics and unforgettable dialogue in this new horror comedy. 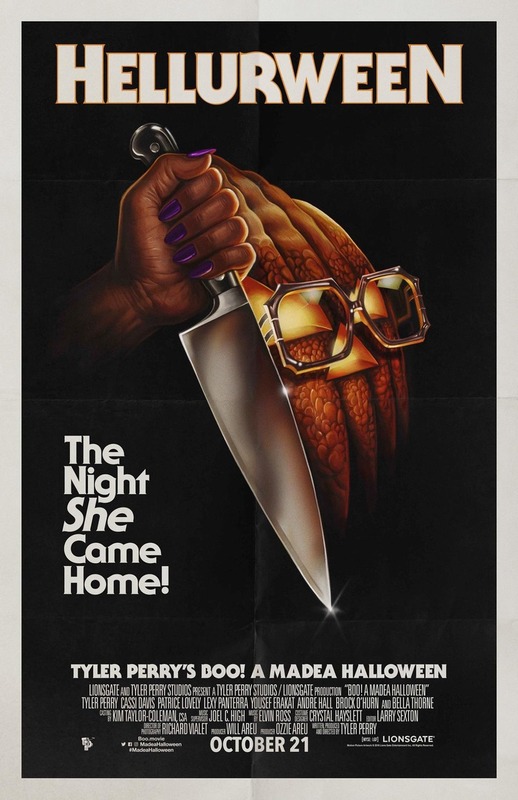 This time, Madea ends up babysitting a group of teenagers who are out to cause trouble on a spooky Halloween, but they are certainly no match for this woman. She must keep the teens on their best behavior while battling all kinds of traditional Halloween haunters such as ghouls, ghosts, zombies, poltergeists and murders. Hopefully, she and the teens can escape this eerie Halloween night unscathed. Neither the undead nor the supernatural should dare to underestimate her either.